Who can forget ‘Shanti’ from Om Shanti Om? Deepika’s debut and her look in pink dreamy saree. How about recreating this look for the party? 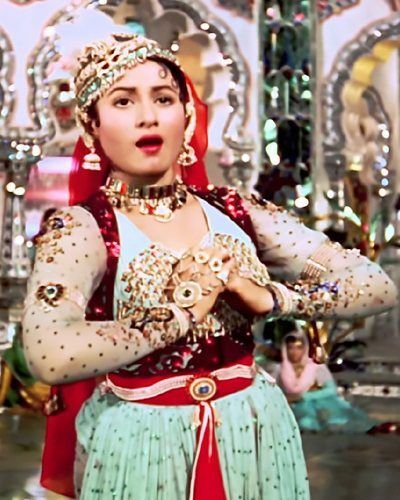 This look has got quite a lot of fame and is a perfect Bollywood dance costume. The saree and the colours are a fit for your Bollywood-themed party. If you are looking for hot and bold dress-up ideas, go for this one. A polka dots blouse and A-line skirt are all you need to do the look. Warning: You’re gonna turn out voluptuous and the party temperature might rise exponentially. The ‘ek, do, teen’ music vid and the undying love for the diva “Madhuri Dixit”! Phewww! Lemme first ask you to stop looking at her beautiful pictures first, eh? Now think about wearing the same for your next Bollywood party. Do not forget the accessories, especially, that yellow headband. Hot and elegant with the perfect blend of alluring colours and ‘that sneak peek’ tease. This white outfit that Priyanka adorns might create quite a stir, given you’re up for it. Chamak challo, anyone? How about wearing this red outfit to the Bollywood night this time? Nothing ever goes wrong with a bold red. 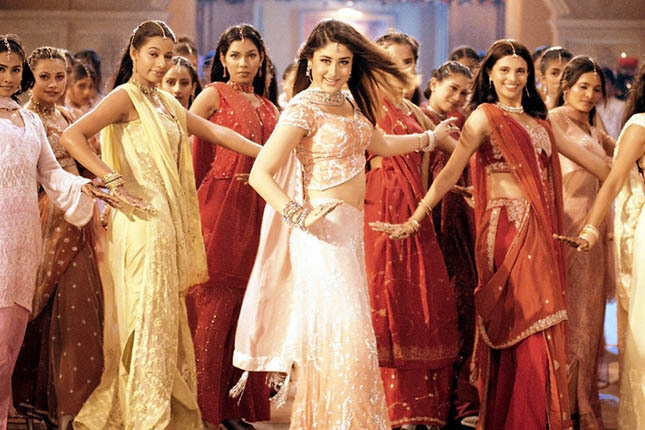 You can rock a stylized saree with confidence like Bebo and shake a leg too. The most iconic look: Rekha from Umrao Jaan. If you love going over the top, go for this one without second thoughts. Sohniye Laija Laija – 90’s kids know how important this song was in every party! Every time it showed up on T.V., we knew we had to get up and copy those moves. Also not sure how many annual functions have entertained the audience with this one! Alia Bhatt’s debut and oh boy, what a thumping performance! Her “Radhaa” song was one of the most talked abouts in the movie and we know why! Just look at that hot pink blouse and the complementing lehenga. It is to die for! Guys, these were the 9 looks that are definitely a yes for a Bollywood themed party. Let us know what you dressed up like by writing in the comment section below. Also read: 10 Best Music Festivals in India That You Must-Not Dare to Miss!